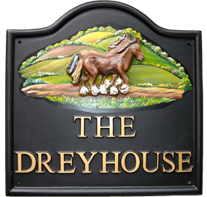 The Dreyhouse is furnished and equipped to a very high standard throughout and comfortably sleeps six people. The bedrooms all have Egyptian cotton bed linen and towels. Our guests love the beds!!! 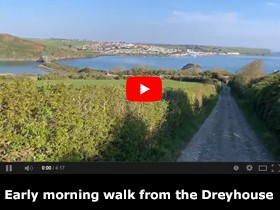 Situated in the quiet village of Higher Halwyn, there is easy access to the picturesque and quaint harbour of Padstow. 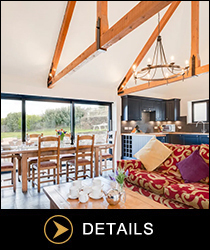 The Dreyhouse is a spacious, three bedroom detached barn conversion. It is nestled into the unspoilt countryside with stunning views. There is a large decked area with an outside table and chairs for eight people, where you can enjoy the view of the Atlantic Ocean whilst dining. The south and west of the Dreyhouse is surrounded by a large, travertine patio balustraded in smoked glass. Each bedroom has its own access via french windows to the patio which has its own external furniture. 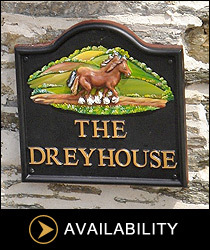 The Dreyhouse is furnished and equipped to a very high standard throughout and comfortably sleeps six people. Our guests love the beds!!! Thank you so much. We've had a wonderful week in this lovely home from home. 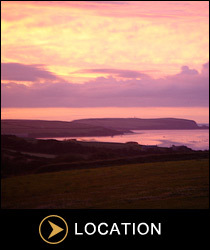 Comfortable, great location, amazing view & everything we could possibly want for our holiday in Cornwall! Had a lovely week. The house is a credit to the owners. It has everything you would require. Thank you very much.